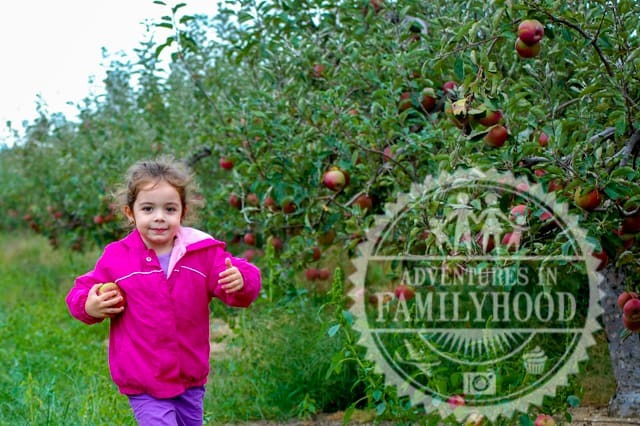 One of the things we look forward to doing as a family in the fall is apple picking. 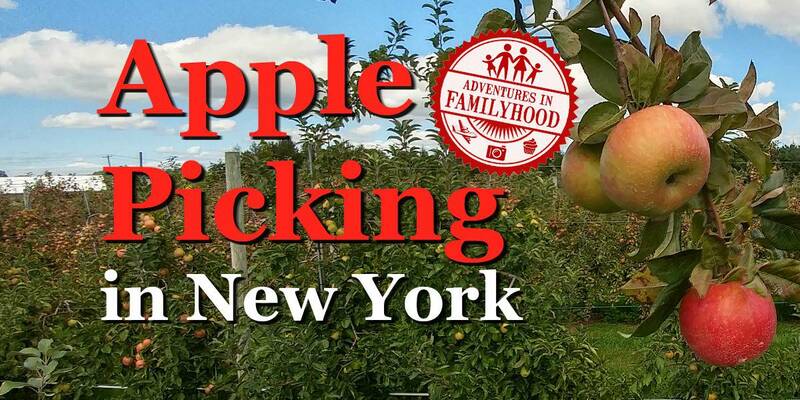 Yes, apple picking is a thing. Sure, you can pick up apples at the grocery store, but where’s the fun in that?? Plus, apples are just better when you get them right off the tree. 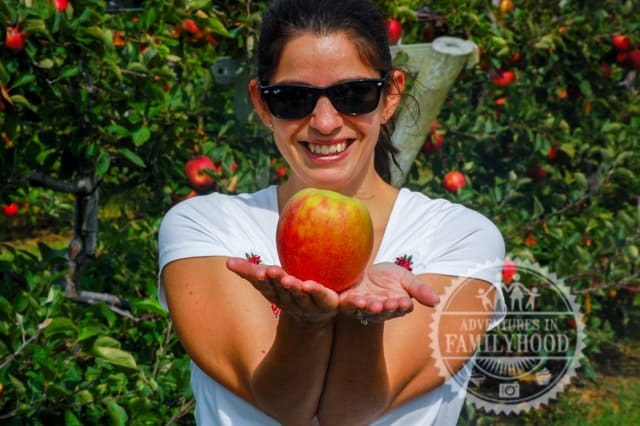 It’s a fun family experience that gets everyone out of the house, and gives you lots of apples for creating delicious recipes at home afterwards. 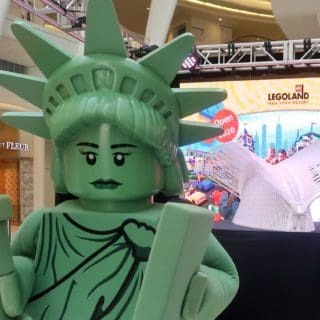 New York is famous for “The Big Apple”, but finding the little apples takes a bit of traveling. 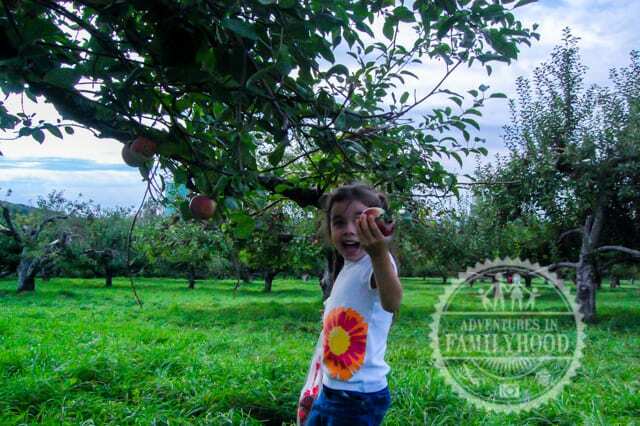 Over the years, we’ve tried several different locations in search of the perfect apple-picking experience, and we’ve found that the best places are those that are convenient, affordable, and offer extra fun that make it worth spending our time to get there. 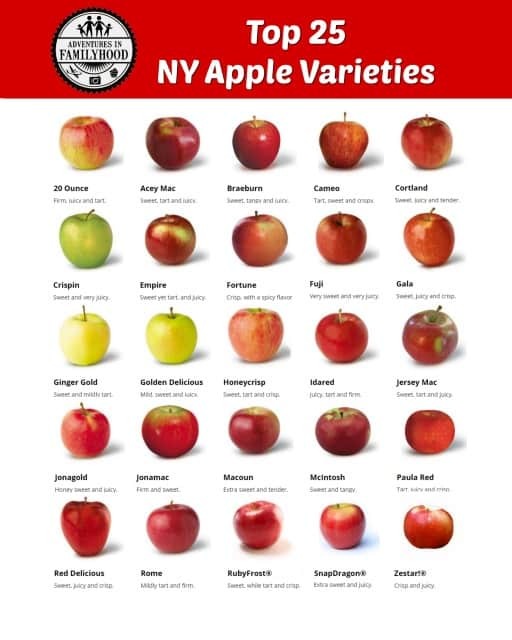 Here are the top 25 varieties of apples grown in New York. I haven’t tried them all, but my personal favorites so far are Macoun and McIntosh. Despite its nickname, you’re not going to find apple orchards in New York City. Even where we live about an hour east of Manhattan, the pickings are slim. 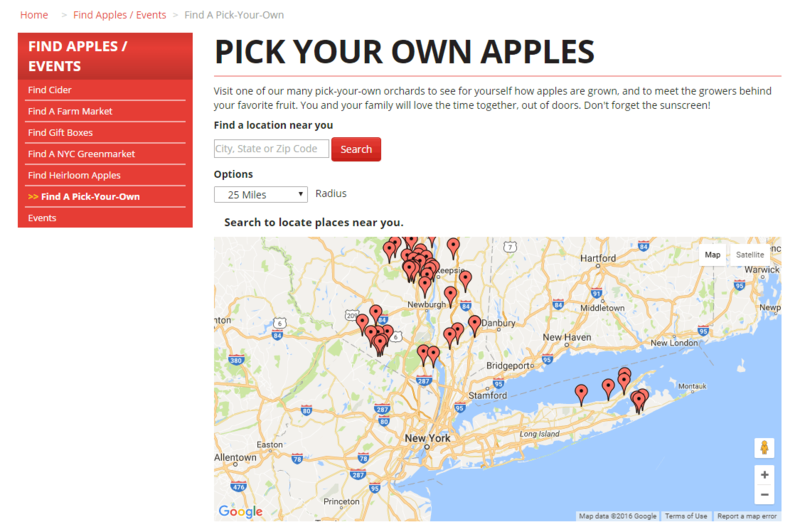 NYAppleCountry.com has a tool for finding pick-your-own apples by zip code. Given our location in the middle of Long Island, the results show us that we either have to go east out into Long Island Wine Country, or head north of NYC… or as the locals say, go “upstate”. The benefit of heading east to the North and South forks of Long Island is mainly that the traffic is predictable. We know it will take us roughly an hour to get out there, and another hour to get back. 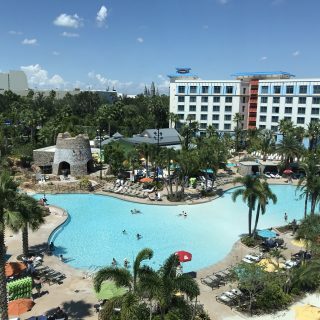 It doesn’t have to be a full day. Lewin Farms has long been a favorite place of ours. It’s located down the road from where Lisa and I got married, and we often make a stop at the farmstand to get fresh produce when we’re in the neighborhood. Grilled corn is a must when it’s in season. 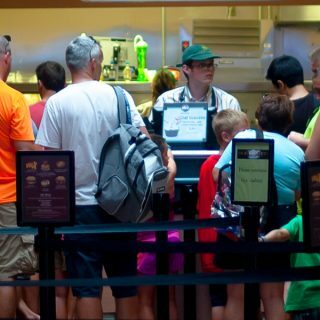 In addition to the farmstand, they offer several different “pick your own” locations. We’ve picked apples, peaches, berries, and various vegetables. The apple orchard is a few minutes further down the road from the farmstand. Even when busy, it’s large enough to make you feel like you have the place to yourself at times. 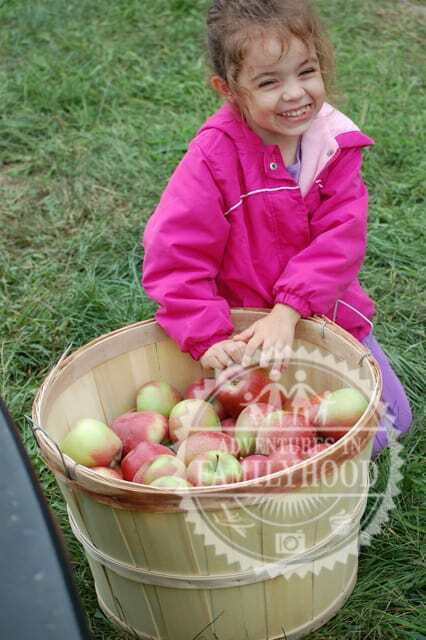 They charge for apples by weight, but their website says there is now an $8 minimum per adult and $5 minimum per child. If I’m reading that correctly, it seems like a minimum of $26 for our family of four to go apple picking. The Milk Pail farm was an interesting place. 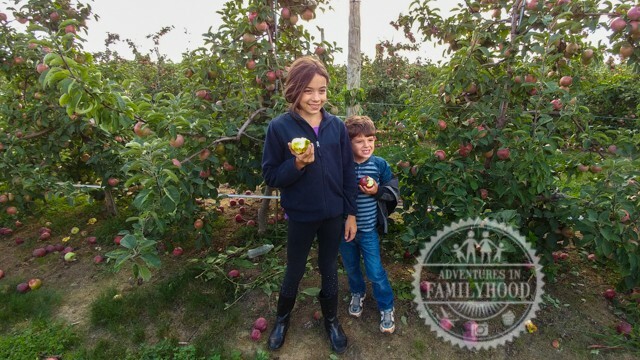 The apple trees are “dwarf” trees, which makes the picking easier for the kids. The trees grow very neatly in rows which makes spotting apples easy, but at the same time, sacrifices a little of that feel of being in an orchard. The year we went here, the apples were huge!! The Milk Pail was also a bit more expensive. 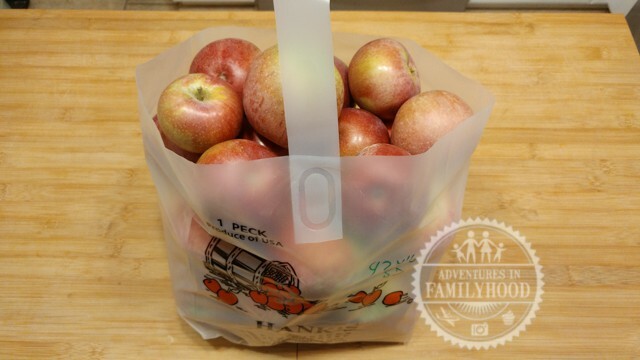 You have to buy a half bushel bag for $47 to enter the farm for apple picking. That’s the going rate for apples in the area, but one of the highest minimum amounts we found. Don’t let the name fool you. 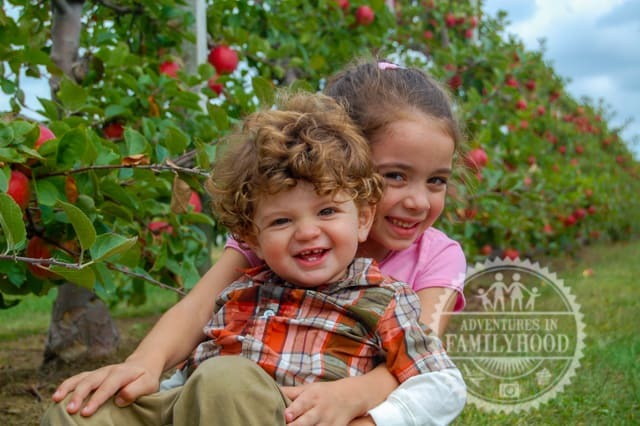 Hank’s Pumpkintown has become our go-to spot for apple picking. The orchard is not very big, but they do have several varieties of apples and only charge $23 for a one peck bag for up to four people. (Add a 5th person to your party for $5). 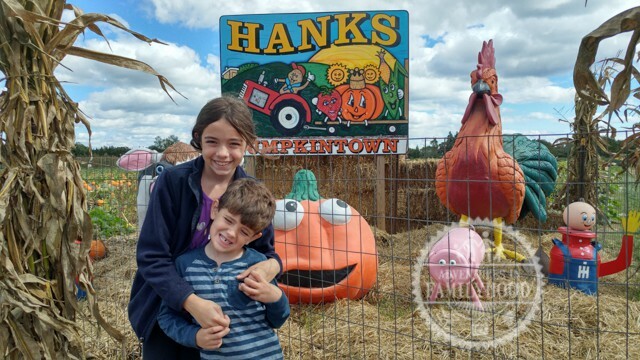 Where Hank’s Pumpkintown separates itself from the other farms we’ve visited is the incredible amount of fun things for the kids to do outside of picking apples. 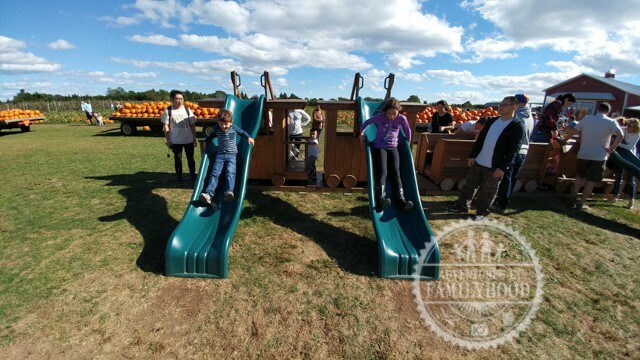 The farm has many slides and structures for the kids to climb on that are absolutely free! 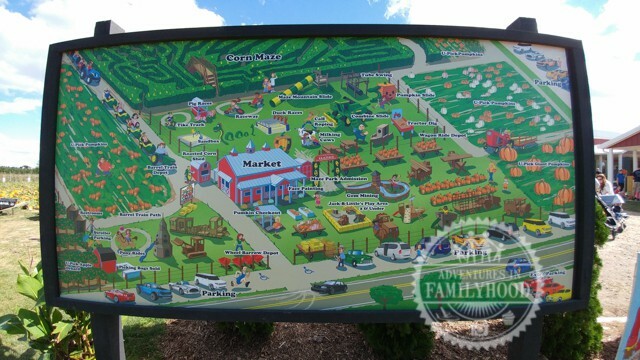 There is also a paid playground area, corn maze, and other activities if you want to splurge. The Market has a lot of treats, including fresh apple cider donuts and roasted corn! And if you want to add a little adult enjoyment to your experience, there is a winery right across the street. 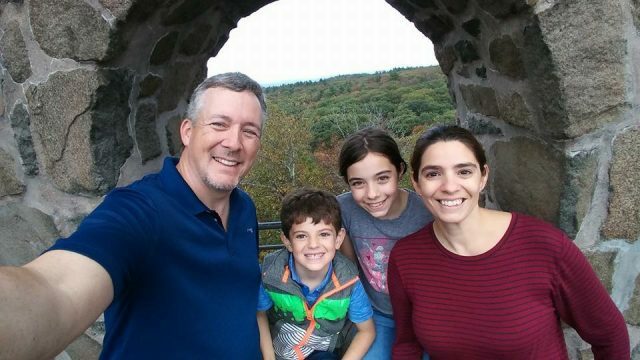 Getting to Hudson Valley isn’t always as easy as getting out east. Traffic around New York City can sometimes be a headache. Navigating the bridges and roadways to get there can be worth it, though. This is especially true if you have the time to make a day of it. 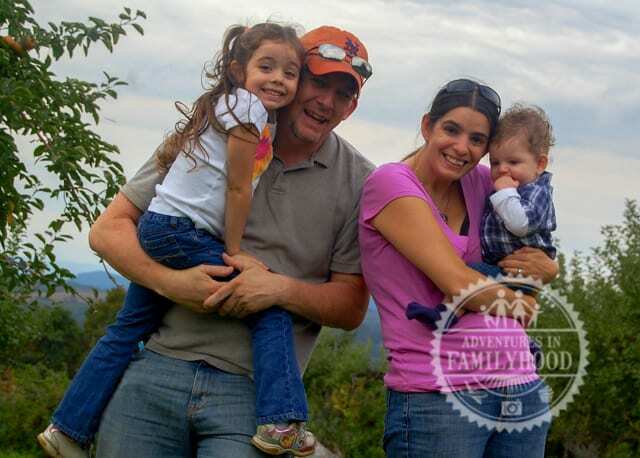 Masker Orchards in Warwick, NY is a place that we need to get back to. 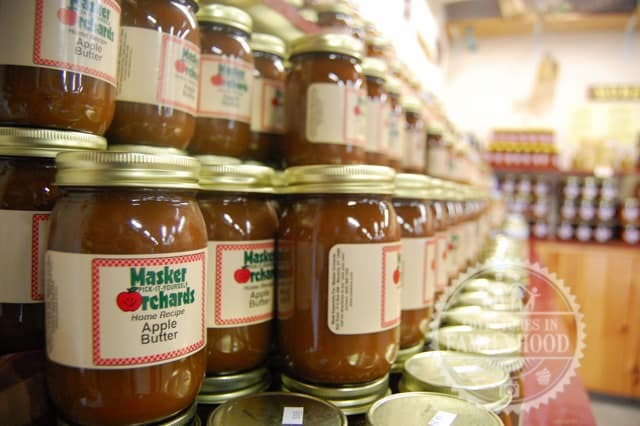 Warwick, NY is home to the annual Applefest and Masker Orchards is part of the Warwick Valley Apple Trail. 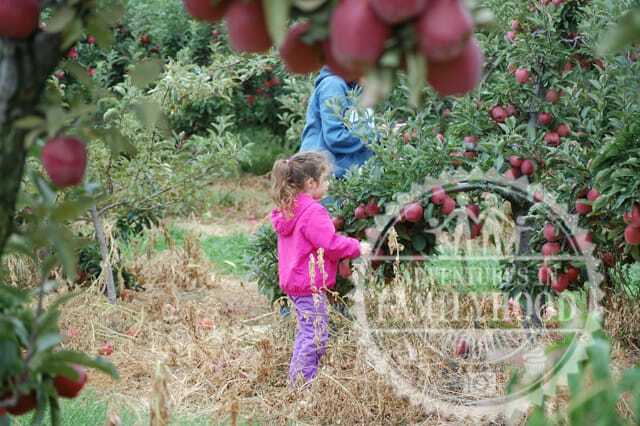 To me, Masker Orchards is the kind of apple-picking experience that you would see in a made-for-TV movie on the Hallmark Channel. 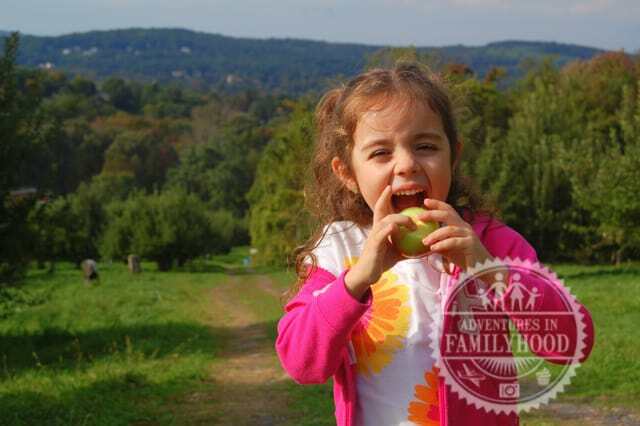 The orchard sprawls over acres of hills with over a dozen different varieties of apples. 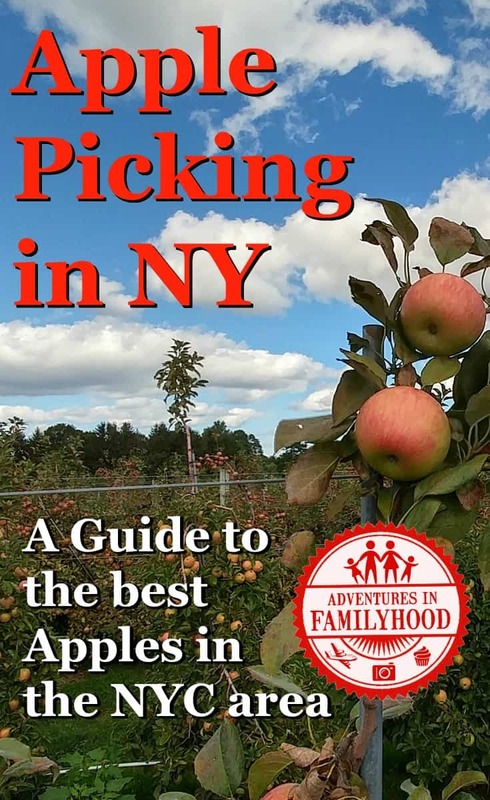 Unlike the places in Long Island, you actually drive right into the orchard, following the map on your apple bag to find the area you want to explore and pick. Admission is FREE, Parking is FREE, Bags are provided FREE, and best of all, eat all the apples you wish while visiting our orchard-FREE! You only buy the apples you drive out with. And you’ll probably want to drive out with some. A bag full will cost you $28.95. 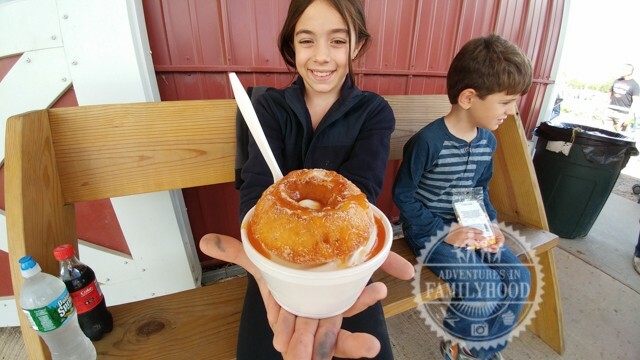 In addition to the apple orchard, Masker Orchards has a country store, a snack barn, an apple maze, a family-friendly haunted house, and musical performances on the weekends. 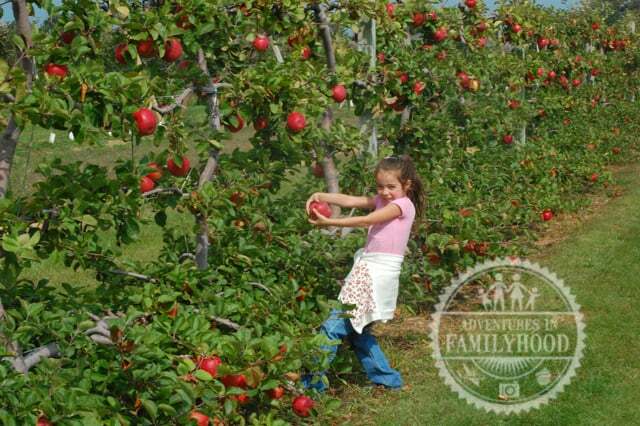 Apple Picking is fun for the whole family! The fact that apples are a healthy treat are a bonus! Add to that some of the great fall scenery and fun activities that many of the area farms have to offer and you can see why it’s become a fall tradition for us.